for Women is the right choice. When I first began having incontinence symptoms I was unsure as to what I needed to do in order to manage it and continue on with my daily activities. I asked a close friend but she told me she too was dealing with incontinence and had been having a hard time finding the right incontinence supplies which could work for her. After several trips to the grocery store and my local big box store I was more confused then ever before. There were a lot of choices but I wanted something which would work for specifically for a woman and look and feel like regular underwear. It wasn’t until I spoke with the ladies at The CareGiver Partnership I found out Depend Underwear for Women might just be the answer I was looking for. The Caregiver Partnership understands this confusion and have created an easy to use style guide which explains all the style options which can help you determine what incontinence products are right for you or you can call and speak with one of their knowledgeable ladies. 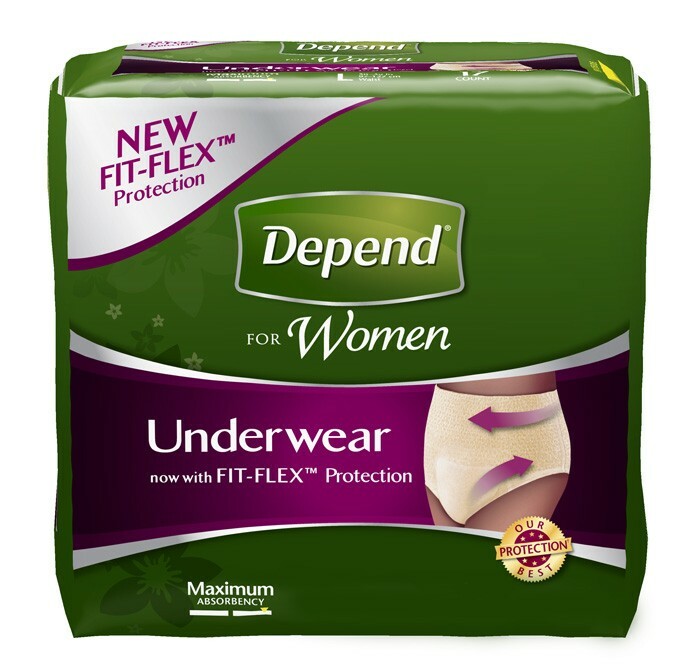 Depend incontinence products have been a major brand since the late 1970’s. They are a line of incontinence products which is highly trusted by consumers for its reliability. Depend Underwear for Women with maximum protection offers the protection I was looking for at a price I could afford. Best of all, at The Caregiver Partnership I could use 3 coupons per case - one for each package in a case. So, the other week, there was a $3.00 Depend coupon in the paper so I got ahold of 3 coupon inserts from my daughter and neighbor and saved $9.00 on my next case of Depend. There were other reasons why choosing Depend Underwear for Women Maximum protection was the right choice. Here are three of them. Depend Underwear for Women Maximum pull on and off like regular underwear. This incontinence product is easy to put on and take off since it pulls on and off just like regular underwear. The material it is made from is stretchy and soft and the side panels contour to the shape of a woman’s body. For an even more feminine touch Depend Underwear for Women Maximum come in a peach color with a more feminine waistband. Depend Underwear for Women Maximum are made to specifically fit a woman’s body. The Depend Underwear for Women Maximum comes in sizes to fit a woman’s body. This is crucial since fit plays a major part in the protection any incontinence product provides. Because 80% of leaks occur at the rear buttocks area finding an incontinence product that fits well is critical for getting the protection any woman needs. In addition, the oval cut leg openings fit most women better which gives added protection. 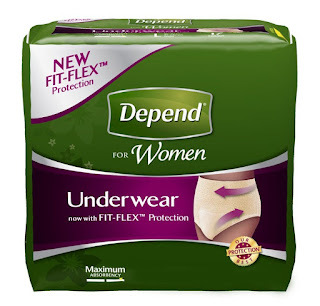 Depend Underwear for Women Maximum are made to lock fluids away from skin and neutralize odors.The makers of Depend understand women have very different needs in an incontinence product than men do. To meet these needs Depend Underwear for Women Maximum has the absorbency where it is needed most. This incontinence product is made with the latest in technology which locks moisture and odor away from the skin. This allows the woman who is wearing Depend Underwear for Women Maximum protection to feel both discreet and comfortable in managing her incontinence. Since 2004, The Caregiver Partnership has been helping people just like you. Unlike the big box stores which usually only offer 3 brands of incontinence products, The CareGiver Partnership shops the world over to find the best incontinence products - those used by consumers and professionals alike. They offer over 733 choices -- ten times more brands, styles, sizes and absorbencies than even the big box stores. And, they have knowledgeable Product Specialists you can speak with when you call 1-800-985-1353.